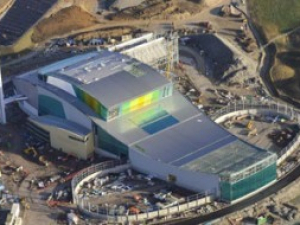 Construction of the state of the art Energy from Waste (EfW) facility in Oxfordshire. Ardley EfW will process around 300,000 tonnes of non-hazardous, post-recycling. residual waste. Energy from Waste (EfW) generates both electricity and useable heat in the form of steam or hot water for local industry, while safely treating non-recyclable residual wastes. HB were involved in the design of the electrical infrastructure, sub distribution, lighting and controls associated with the lighting and emergency lighting installation throughout the facility. This included the wiring, controls and containment systems, which involved co-ordinating with all the other engineering disciplines and contributing to the composite 3D model for the Power Station. HB produced a full calculation package for the electrical distribution including an electrical discrimination package and the lighting and emergency lighting package. The Power Station was handed over the client on time and on budget.